University of Guelph-Humber alumni Jackie Perez and Stephanie Villella graduated from the Media Studies program six years apart, so they did not cross paths during their time at UofGH. Still, they had much in common: both are from Toronto; both interned or volunteered at major Canadian television networks during their time here; and both found a passion for journalism. Now, the two coincidentally share something far more unlikely: a workplace. Villella and Perez were hired just months apart, and they are now both video journalists and community reporters at CTV News in Saskatchewan. “When I was moving here I looked up CTV Saskatoon and Prince Albert and found Stephanie’s bio. When I saw she was a UofGH grad I thought, well, it was meant to be,” recalled Perez. Both Perez and Villella were assertive in accumulating media experience during their time at UofGH. In Perez’s case, she volunteered for CBC’s Royal Canadian Air Farce and CTV’s Canadian Idol during her first two years before completing an internship at the Mississauga News as a digital reporter in her final year of study. Upon graduation, she decided to explore public relations. She took a digital communications co-ordinator position with Canada’s National Ballet School, allowing her to gain communications experience at a time when social media was still in its earliest stages. She simultaneously began working with the Toronto Argonauts, spending three years as their digital and in-stadium host. At the same time, she maintained a connection to broadcast journalism by hosting a show for RogersTV called InSauga. Still, she ultimately missed working in news, and resigned from the National Ballet School after seven years. “It was a pretty scary decision to make but my goal was to be part of a national broadcaster,” she said. “I got the call to join the CTV Saskatchewan news team in Prince Albert at the end of November around the same time the Argos won the Grey Cup. A week later, I packed up two suitcases and made the move across the country. 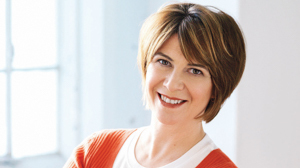 Villella, meanwhile, completed internships at CBC Toronto – where she scheduled interviews for reporters, conducted interviews, wrote radio scripts and followed emergency phone calls – as well as Corus Entertainment, at AM 640 Talk Radio, during her time at UofGH. 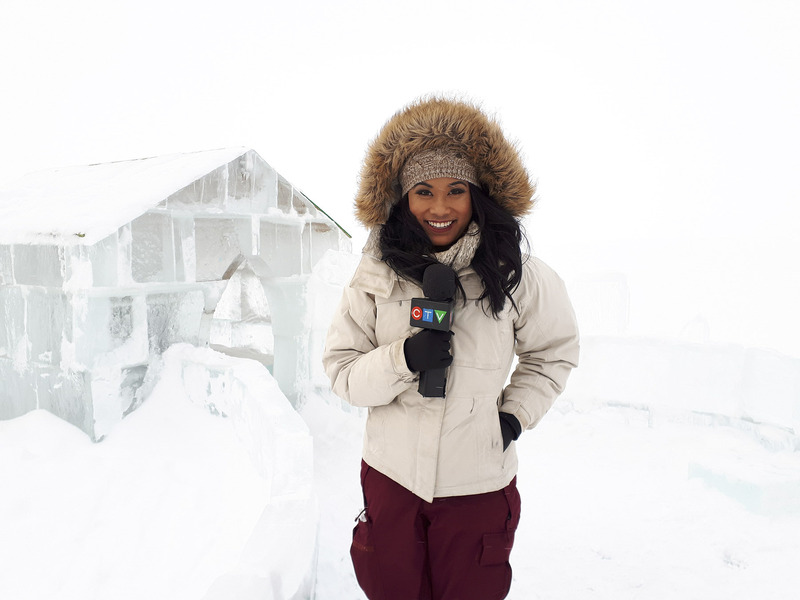 She pursued a post-graduate course in broadcast journalism after completing her studies, before completing an internship and getting hired at CHAT News in Medicine Hat, Alta. 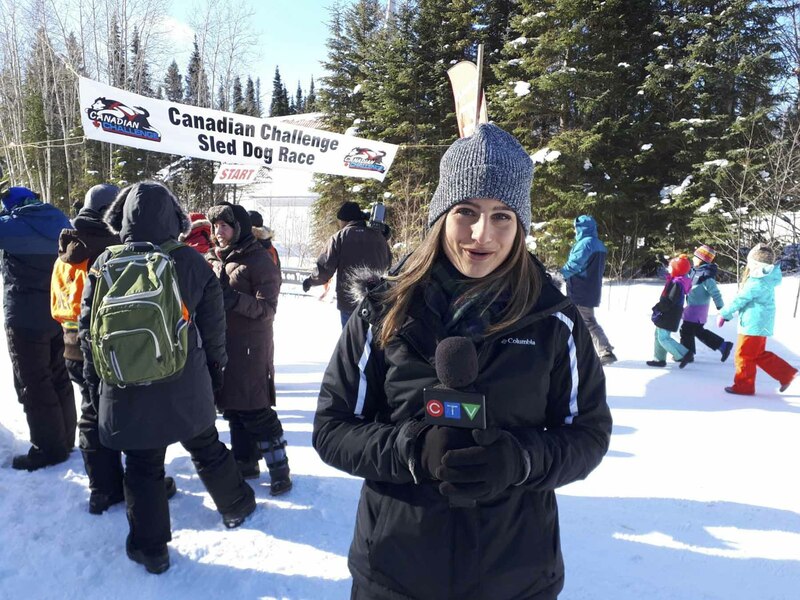 She learned a lot there but her stint would prove short-lived, as CTV reached out to her about a job opening after just three months at the station. “I wanted to be part of a national broadcaster, so I knew taking this position in Prince Albert was the right fit for me,” she said. Both Perez and Villella have found that there is never a dull moment in broadcast journalism. Perez’s first live TV assignment with CTV Saskatoon’s evening broadcasts found her covering a story about a missing boy. 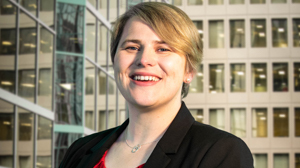 She has also covered the Western Hockey League’s Prince Albert Raiders, she has reported on the Saskatchewan wildfires, and she found herself in the middle of a major national news story and tragedy after the Humboldt bus crash, which took place roughly 90 minutes from the city. Villella’s most memorable story was a three-part series about post-traumatic stress disorder among first responders. She followed a police officer, a firefighter and a paramedic for a day – at work and at home – to see how they deal with the stress of their jobs. Another memorable moment came when Villella covered the visiting SkyHawks Tandem team – which led to her sky-diving as part of the story. “It was amazing and just reaffirmed how lucky I am to have this incredible job, where every day is different,” said Villella, who has recently began working out of Saskatoon. Variety is also a key part of the appeal of Perez’s position. And although Perez and Villella took divergent paths, both began building the skills necessary to thrive in media while they were students here – and the learning has not stopped since. “My time in GH helped nurture and develop skills that helped me move from one career, which was in digital communications, then use it as a foundation for what I am doing and learning now,” Perez said.